In the Fight for the City of Riviera Beach, there has been many attempts to drive me and my family out the City of Riviera Beach, but I am not leaving. Wanda Moore and WPTV can write all the articles they want. They can frame me in whatever light they choose, but, I shall not be moved. Nelson Mandela went to prison for 20 years for his people so will I. Dr. King died for his people so will I, and Malcom X died for his people, so will I. 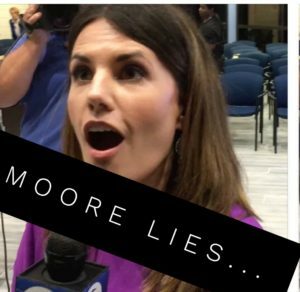 For an investigative “Reporter” Moore Lies, from WPTV, Wanda Moore is doing a very poor job. At this point, I have the same question as Councilman Terence Davis does, where did you get your degree? Today, as I got ready to enjoy a beautiful evening in the city with Councilwoman Tonya Davis-Johnson’s Love in City at the community garden, I started receiving notifications that another story was written by Wanda Moore about me. Before I start with this piece, I must say I enjoyed the creative ways she bends the truth. So, it will not surprise me, nor should it the residents of what she will come up with next. First, she attacked my Doctorate in Business Administration and Finance education from Walden University . She stated only I got a degree from an online “for profit” college and questioned the authenticity of it. She tried to discredit – The company, Roxborough Medical, she said it was in Jamaica and in her latest reports she can not find anything on it. Aljdaas Isles, Inc – Wanda Moore said did not exist. E-Z Weld, Inc, Wanda Moore reported did not exist. All of which I provided her with information, that she failed to report. Now months later, she didn’t say she found the companies, or did she change her stands on my education she called into question. Nope, she moved and continued to instigate some form of “corruption”, even after the council people disclosed I contacted them. So, after all that, do you think it would be enough? I have realized that Wanda Moore and WPTV will continue to poke and pry in the City of Riviera Beach because of their special interest. They are trying every angle to scare me away, with their followers, encouraging and sometimes demanding me to go back where I came from. In case you did not know, the City of Riviera Beach is my home, and I am not leaving. Moore Lies – can write all the articles you want. You can frame me in whatever light you choose. If you Nelson Mandela went to prison for 20 years for his people so will I. If Dr. King died for his people so will I. If Malcom X died for his people, so will I.
Wanda, I am glad you wrote those false stories because they brought to where I needed to be. I can take it for the children, who deserve better and who want a city they can be proud of. 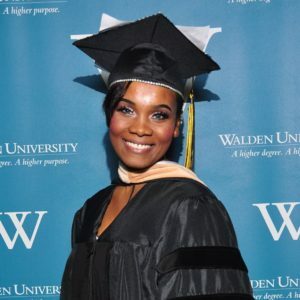 If it’s one thing I learned at Walden University is to make an effect positive social change. So, if I am lucky to be asked by the council to serve this, City on the Rise, of which I would be honored. My goal is to do the best I can, in all the good I can for this City on the Rise.